Do you usually notice this too? Thank you Nia, for the nice words! That’s a great photo. I get that ‘after the rain’ feeling from it. Beautiful, I really love this one! I love reflections so yes, I notice these. Nice capture. Nice shot, Alice! Did you also try focusing on the window? Thank you for your nice words, I think it is our perception that makes even little things very special. I love reflections and notice them everywhere, too. 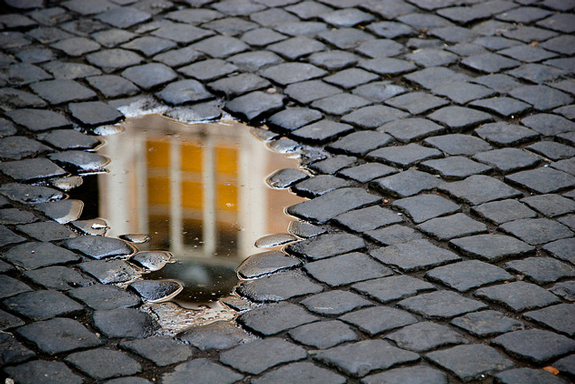 If I pass a puddle in the street I just have to look at it from different angles to see if a hidden reflection lies in there somewhere. I love your reflection, great capture! ← This is why I love cooking mushrooms!! !